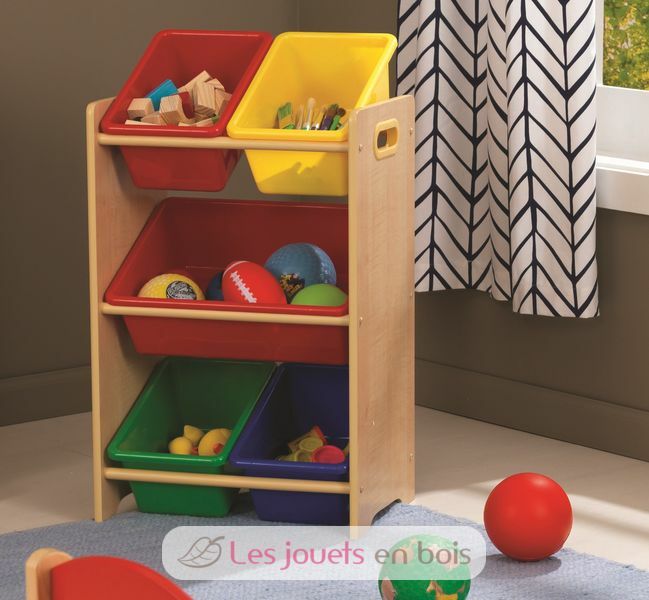 Create a clutter-free zone with this multi-bin storage unit that gives every toy a well-deserved home. Five brightly colored storage bins help make organization quick and easy. 5 Bin Storage Unit Natural made by Kidkraft - item number 15472.